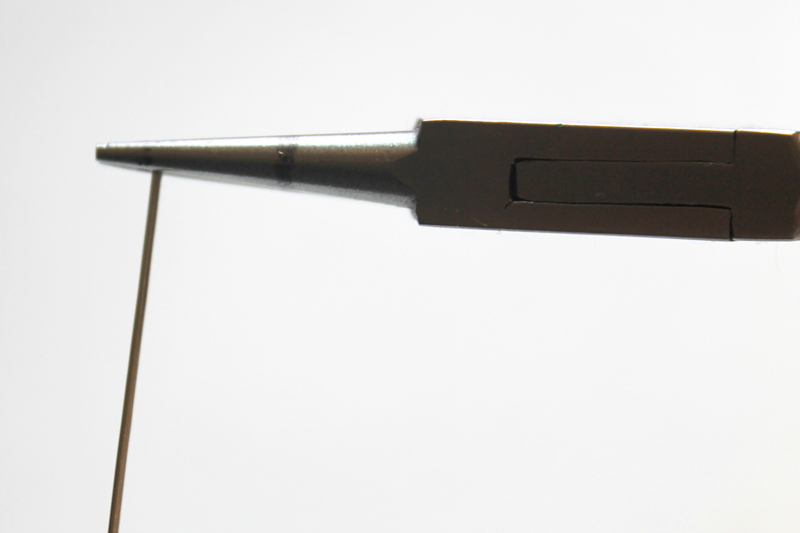 Have you ever had the problem that your cuts are always pointy? You’re not alone because I get this question a lot. 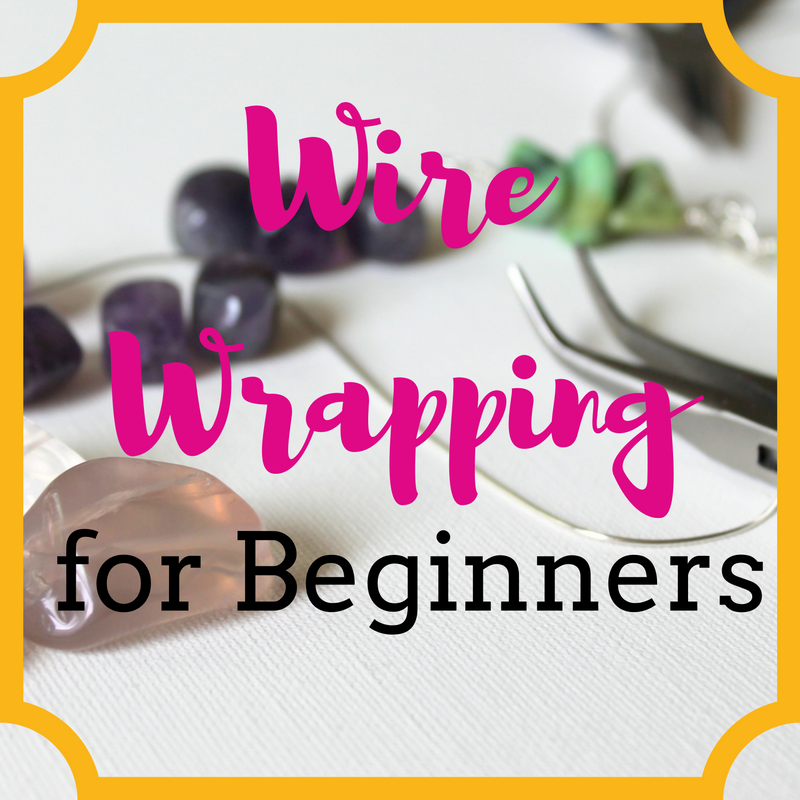 Learn everything you need to know to get started making wire wrapped jewelry with my FREE Intro to Wire Wrapping eCourse! Get started by filling out the form. When I first started making jewelry, I definitely didn’t know what I was doing. My wire wrapped loops were all over the place, I didn’t even know that that wire cutters made 2 different cuts and I couldn’t get the hang of jump rings. The day I figured out jump rings was almost life changing for me. If you don’t know, your mind’s about to be blown. If you do know, you probably know what I’m talking about. 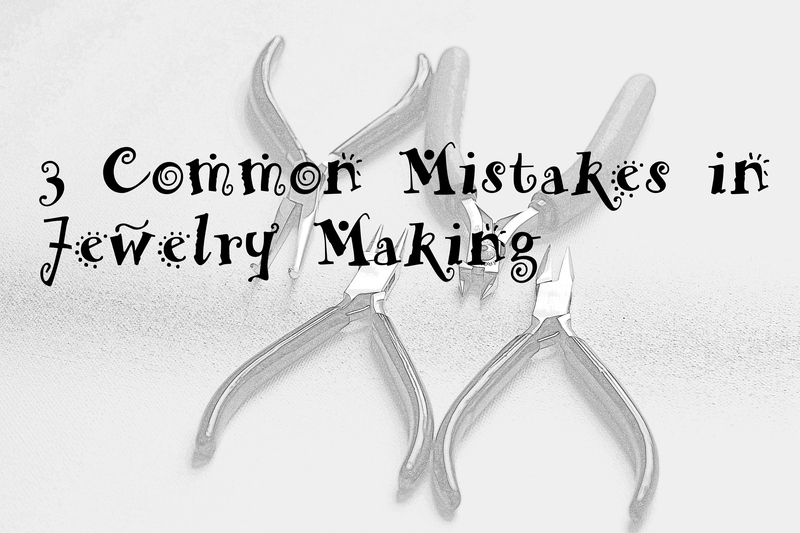 Mistake #1: Your wire wrapped loops are not uniform. 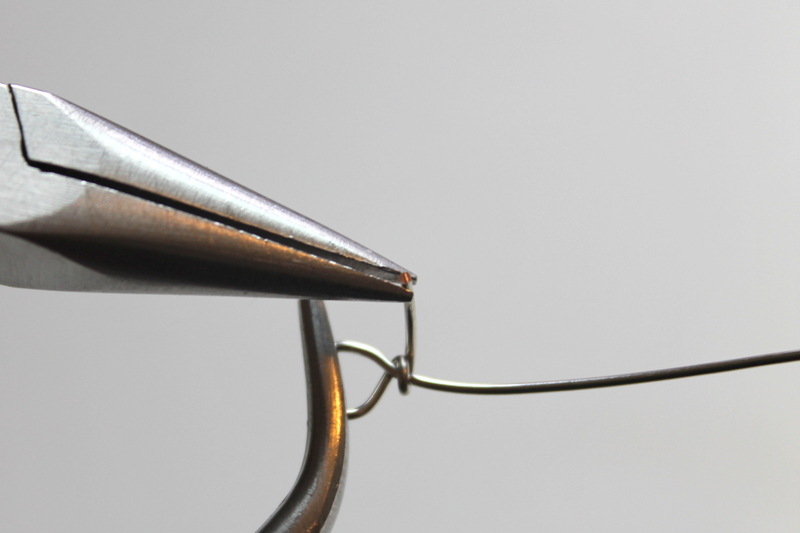 The solution: Mark your round nose pliers. This solution is so simple and easy. Use a permanent market to mark where you usually make loops. I have 2: 1 for wire wrapped loops and 1 for starting spirals. Now, these do eventually wear off, so you do have to keep marking them. I’ve also heard of people using tape. 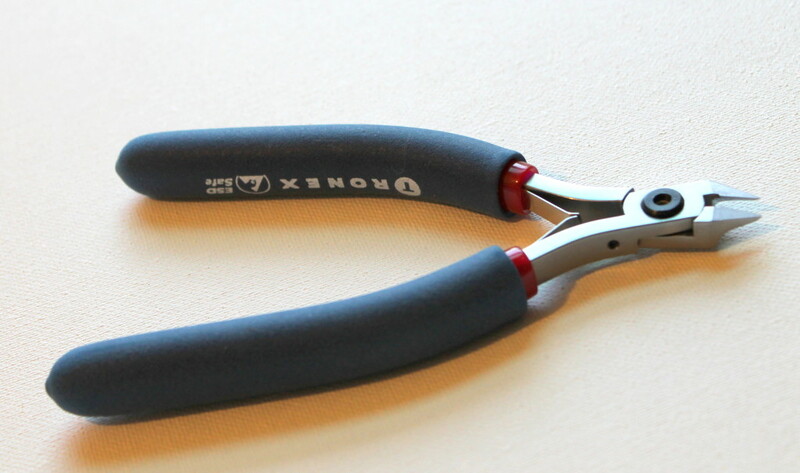 Or you can get this 6-Step Multi Size Wire Looping Jewelry Pliers and save the step! 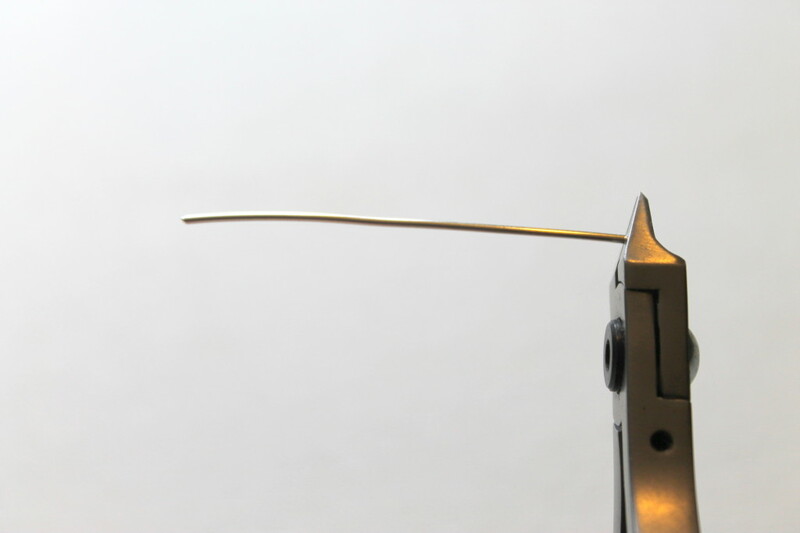 Mistake #2: You are cutting your wire incorrectly – or you don’t know that you’re cutting it right! 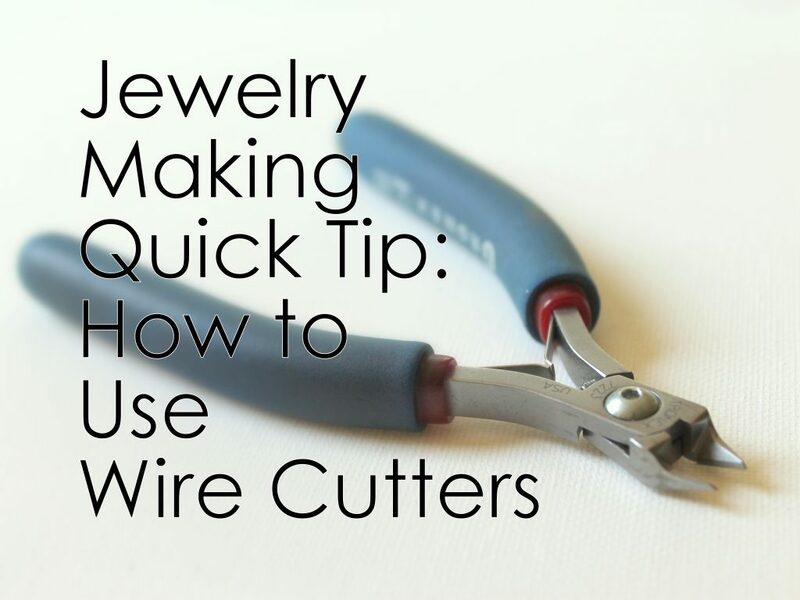 Solution: Learn how to use your wire cutters. When you cut from the front, you end up with a pinch cut. 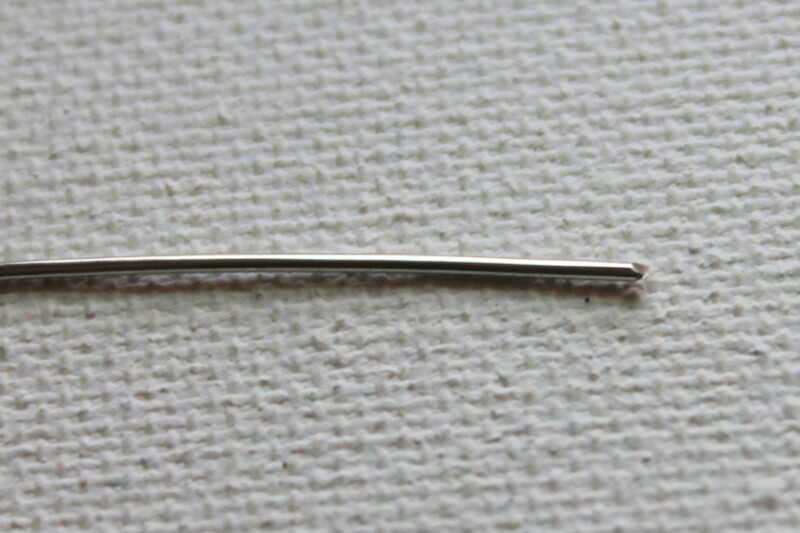 The cut is sort of pinched. 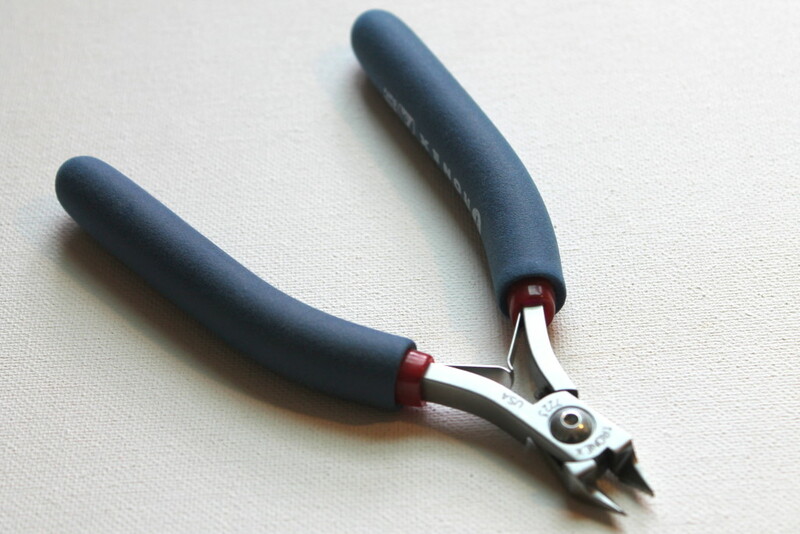 What you (in almost every case) want is a flush cut, which you get when you use the back of the pliers toward the wire. This is make a nice straight, flush cut. 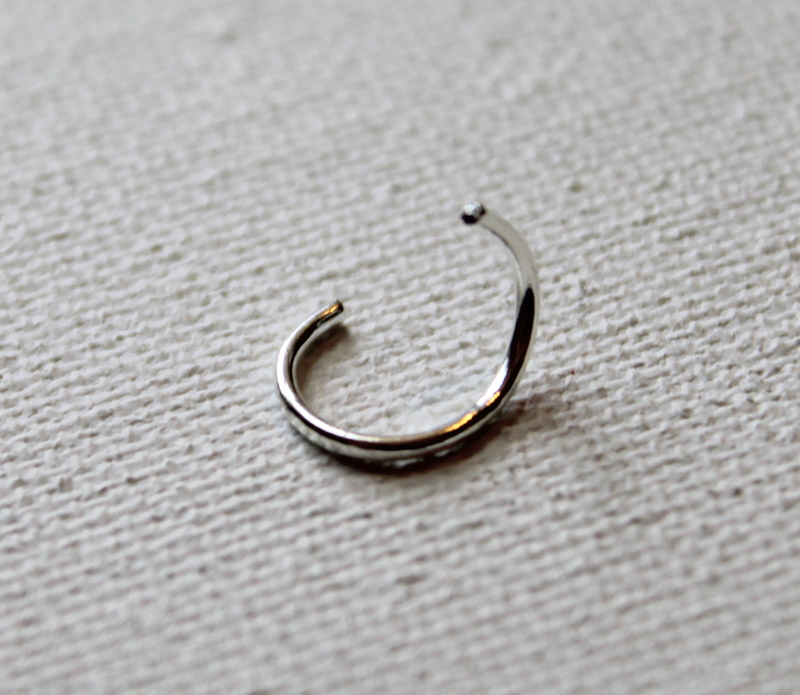 Mistake #3: You open jump rings by pulling them apart and then you can never quite get them back together. Solution: Do not pull the jump ring apart, instead follow instructions below. Opening a jump ring may be different than you think. Line up 2 pairs of pliers so that the opening of the jump ring is in the middle. 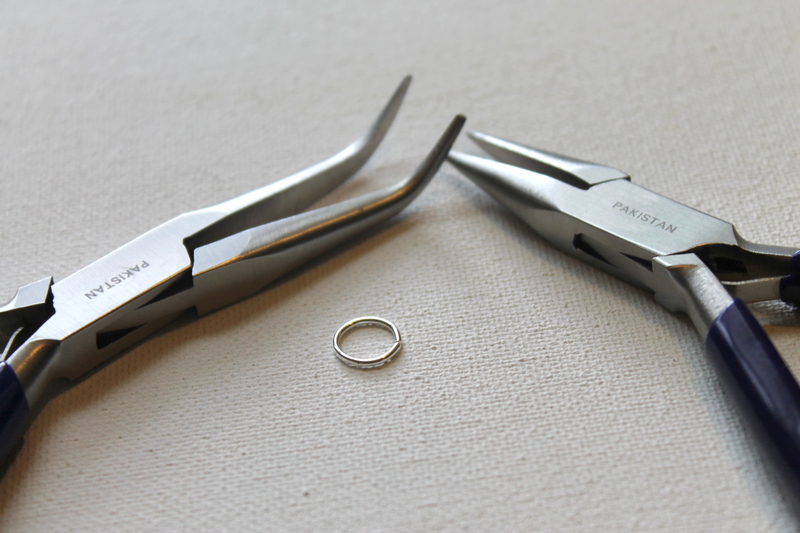 Maintaining the integrity of the circle, pull one pair the the pliers toward you and the other away from you. 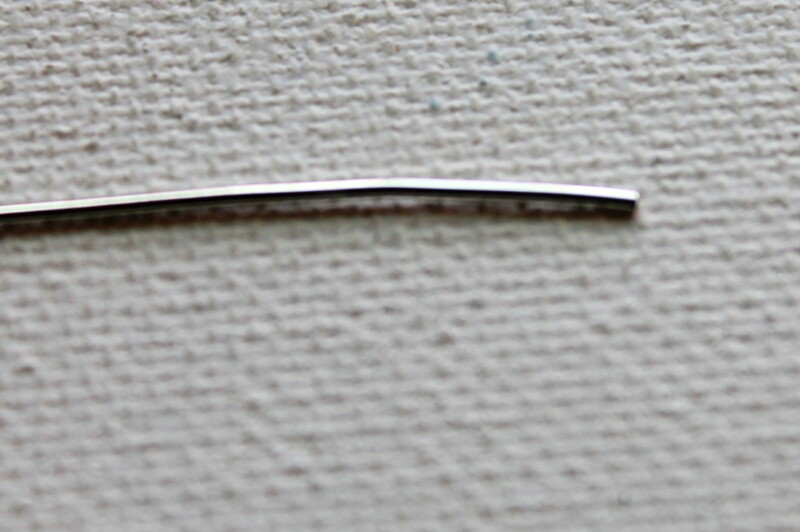 Do not pull the circle apart and do not pull to the sides. To close a jump ring, just do the same, but the opposite. 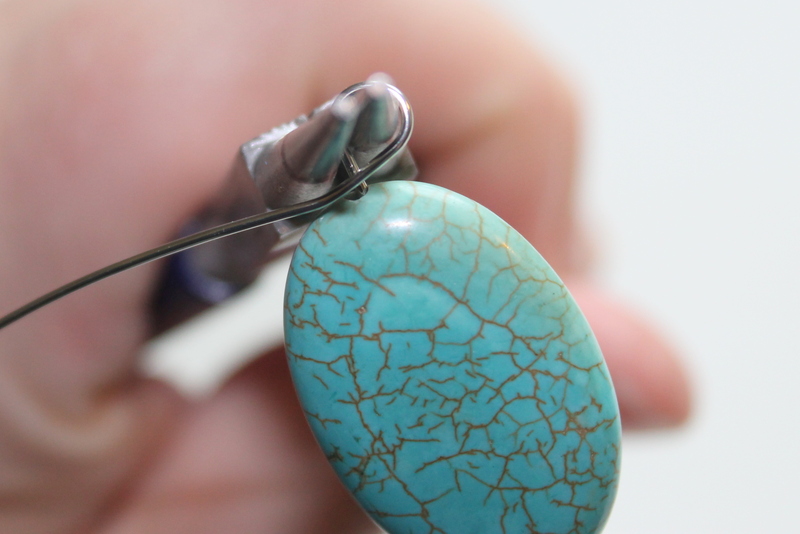 Now that you know what mistakes to avoid, maybe you want to try out my projects book, Wire Wrapping for Beginners. 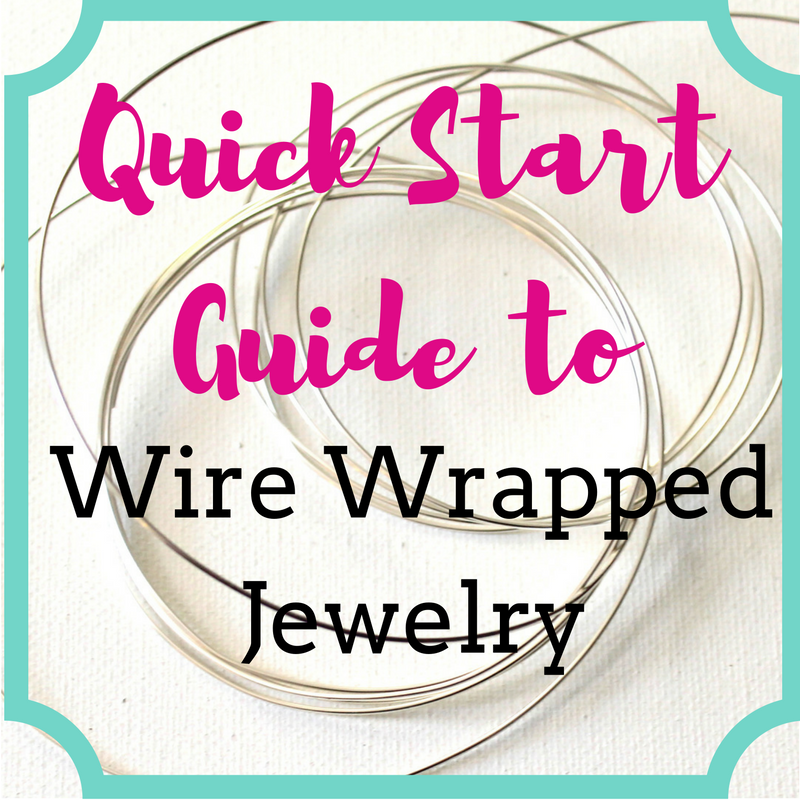 24 projects to teach you how to wire wrap! Click here to learn more and to purchase for instant download. To get started wire wrapping, you need 3 basic tools. These are the tools you’ll always use and that you probably can’t get too far without. You use wire cutters to cut wire! 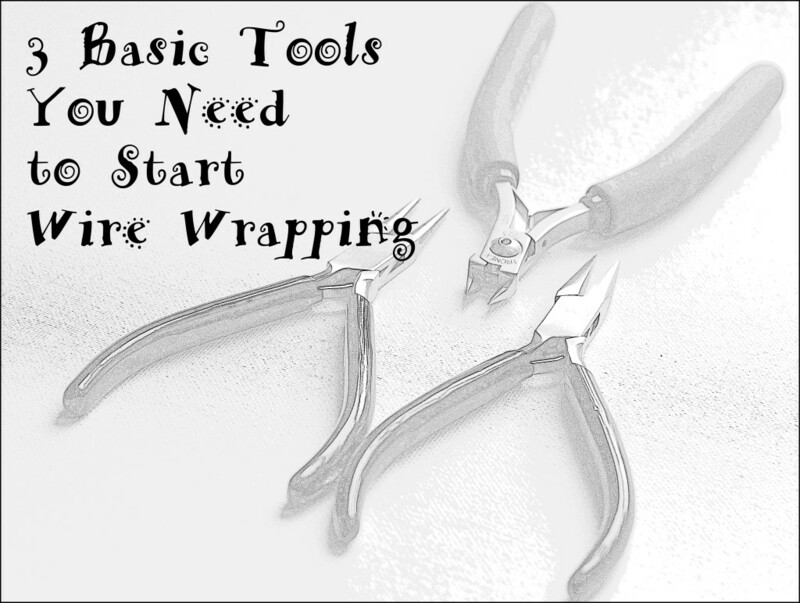 You can actually get started with a basic pair that you have around or in your toolbox; however, you’ll quickly want to get a better pair. The pair I have pictured above are a pretty big investment, but they are so worth it. Once I started using them I couldn’t believe I used my other ones for so long. 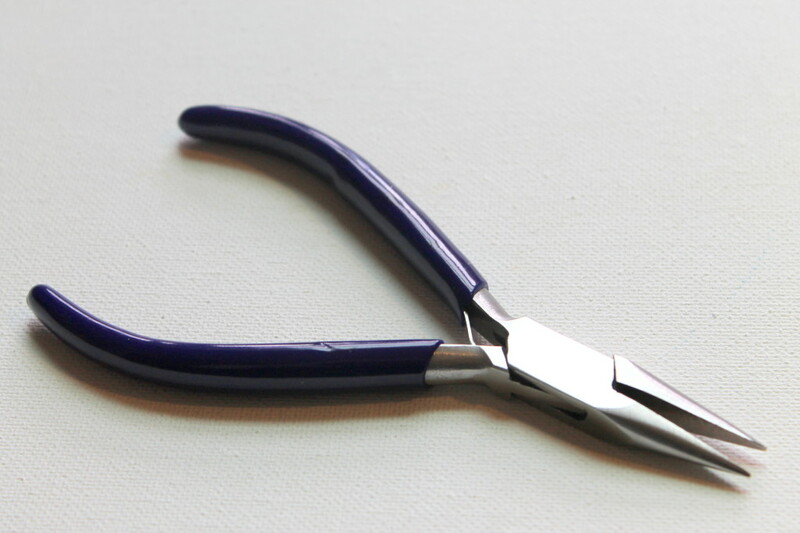 You use wire cutters to make 2 different types of cuts: a flush cut and a pinch cut. Depending what side of the cutters you use is the kind of cut you’ll make. The flat side will make a flush cut. In all of the tutorials I share you want to start with making sure each side has a flush cut. That’s what the flush cut looks like. It’s cut straight. When you use the other side you make a pinch cut. That’s what a pinch cut looks like. 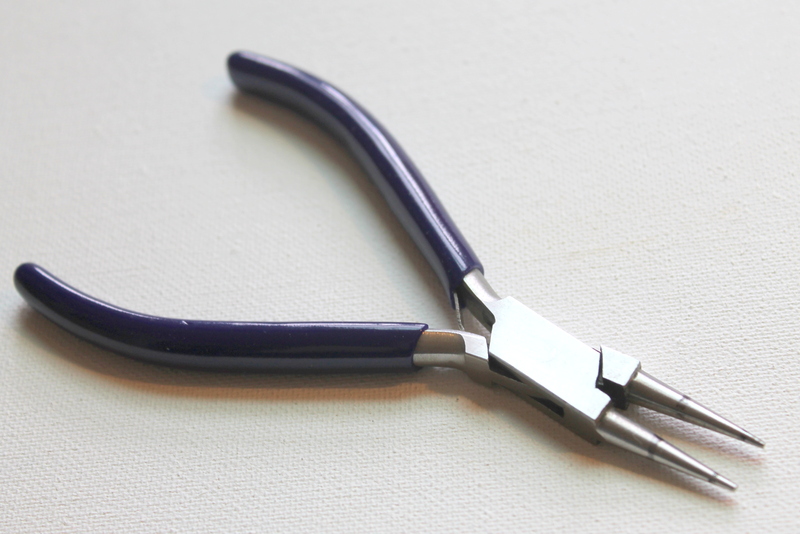 Round nose pliers are used for making loops and spirals. I use them in most, if not all, of my designs involving wire wrapping. You’ll see 2 marks on my round nose pliers. 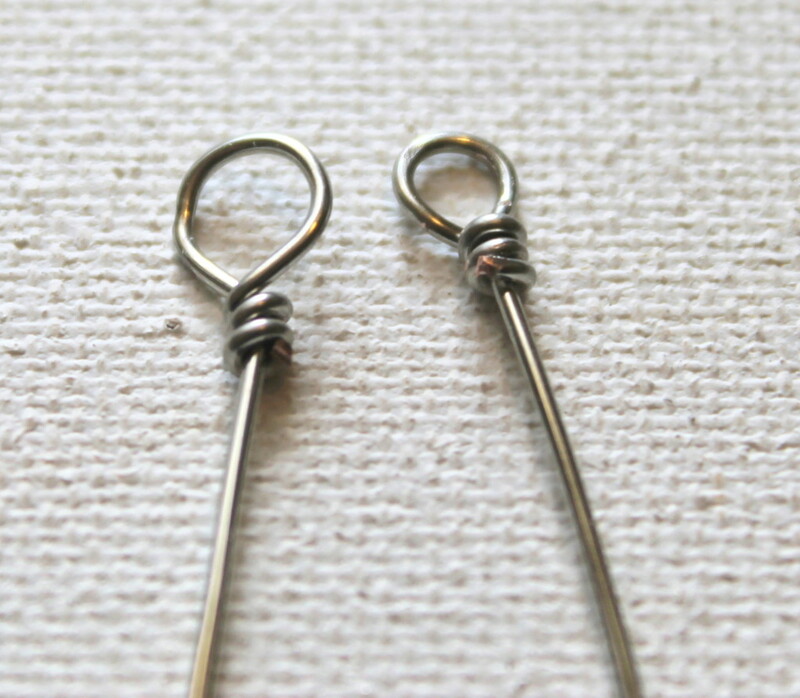 Click here for a quick tip for wire wrapping that explains those 2 marks and how I use them to make uniform loops. 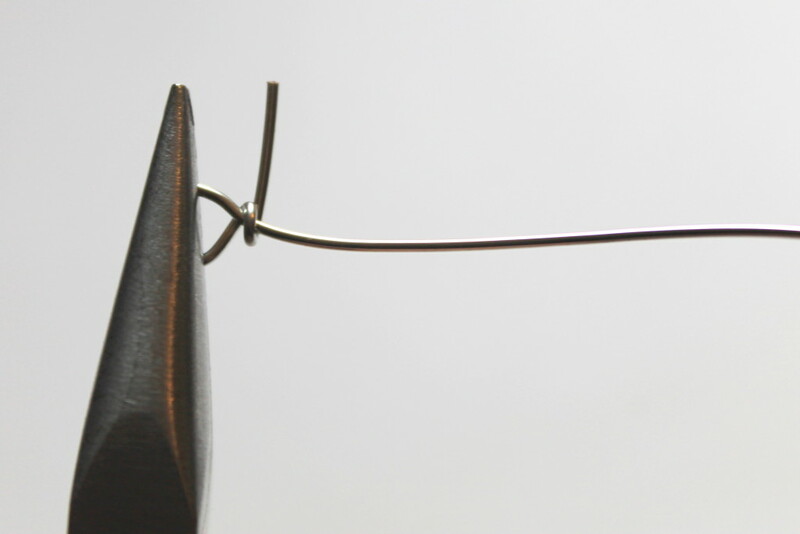 One thing that I use round nose pliers for is to make spirals. You can make spiral headpins or just incorporate spirals into your designs. Click here for a tutorial on making spiral headpins. 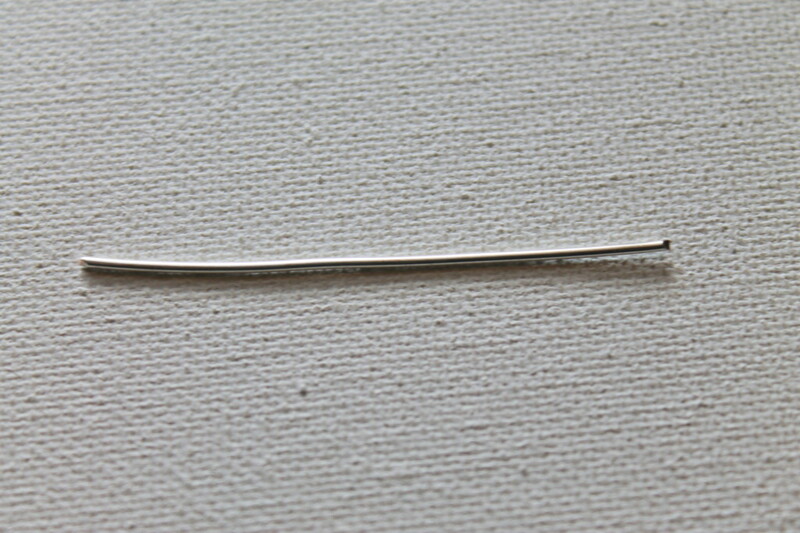 Click here for the Beaded Spiral Pendant eWorkshop, or here for the Wire Wrapped Charm Pendant. 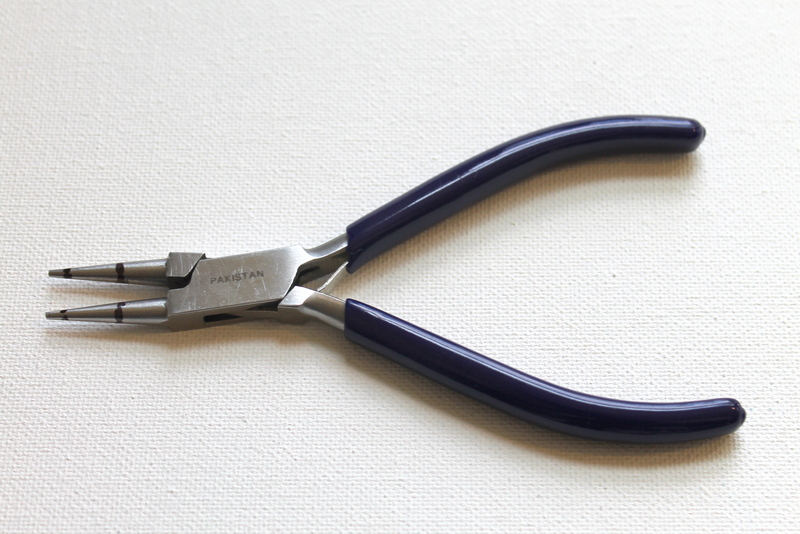 Round nose pliers are also use to make loops. 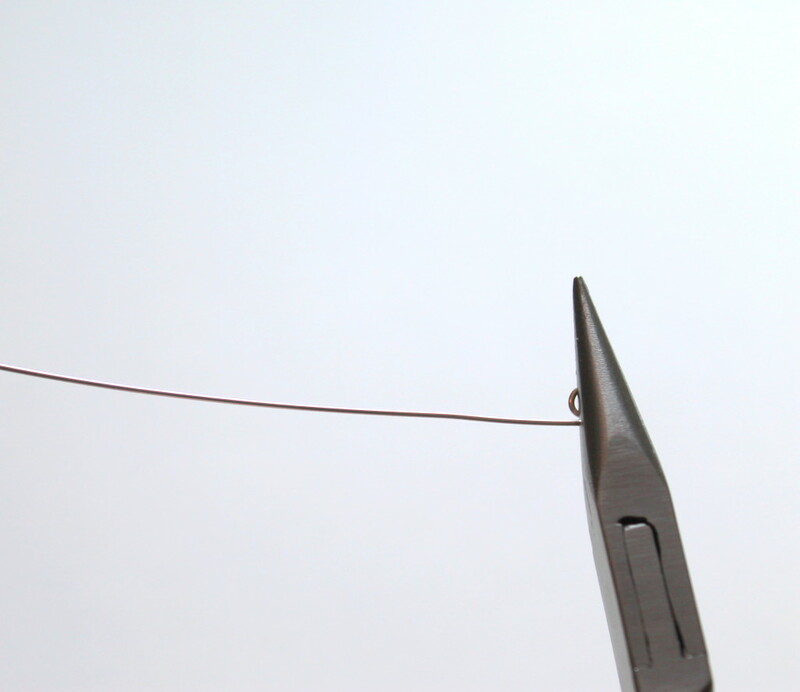 Here I’m starting a wire wrapped loop to make a bead dangle. Use chain nose pliers to hold wire, wrap wire and bend and twist wire. 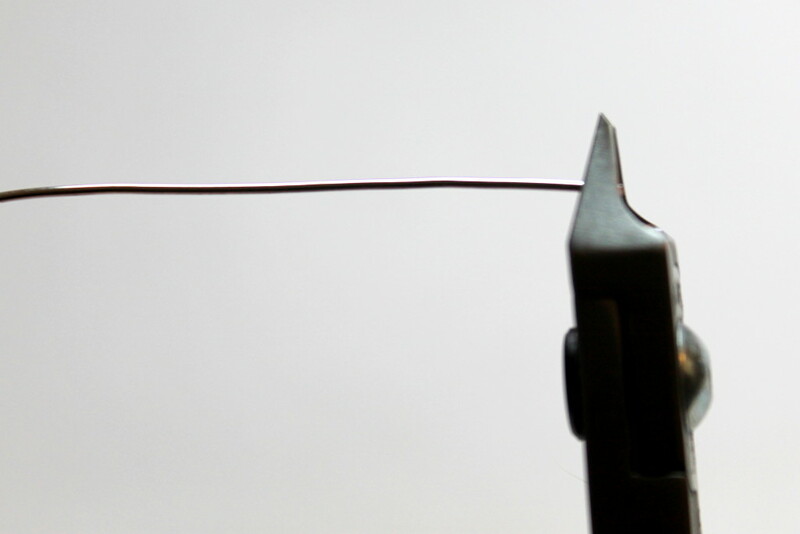 Hold a loop wire wrapping it. 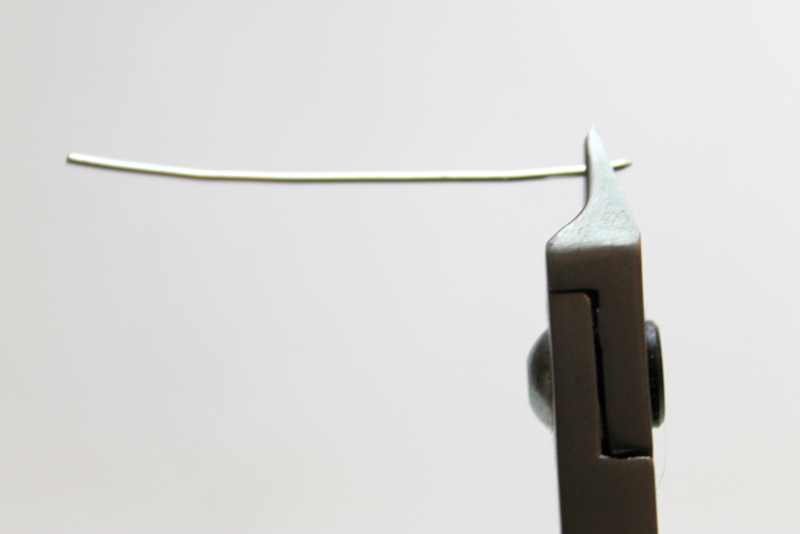 While holding the loop with one pair of pliers, wrap the wire around with another pair of pliers. (2 things about this photo: 1) I’m holding the loop with bent nose pliers. I’ll usually either hold the loop with the bent nose or actually do the wrapping with the bent nose while holding the loop with chain nose. 2) For the photo I was holding the chain nose pliers with my left hand, so this photo is backwards if you’re right handed. Here I’m making a spiral. 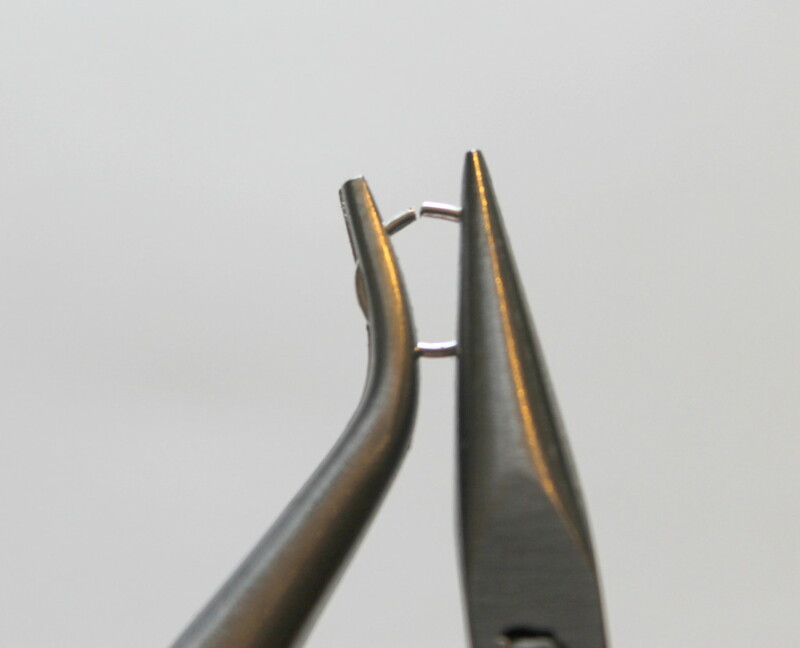 Once you make the original loop, you use chain nose pliers to continue the spiral. 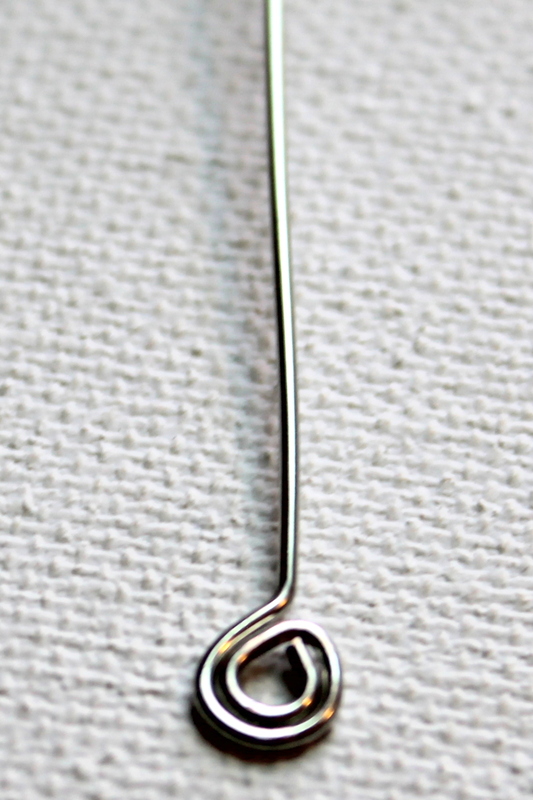 You’ll use chain nose pliers for everything you make when wire wrapping. 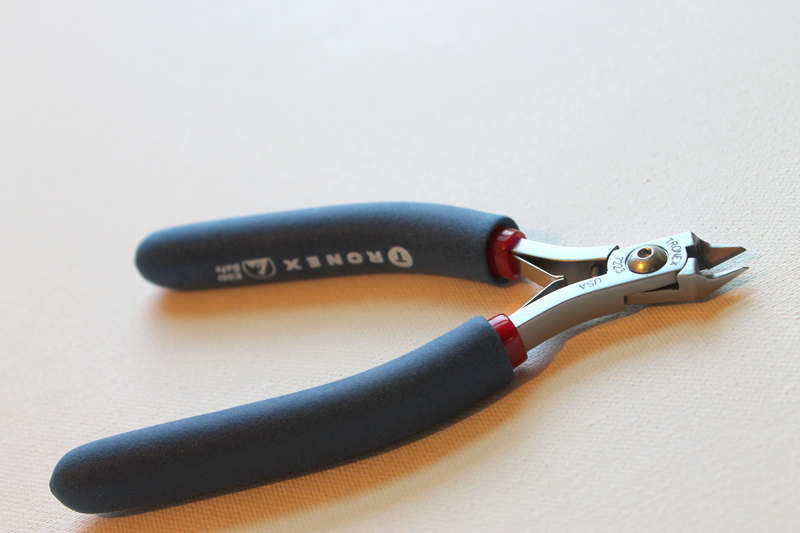 Like I mentioned, you’ll actually want another pair of pliers, too. 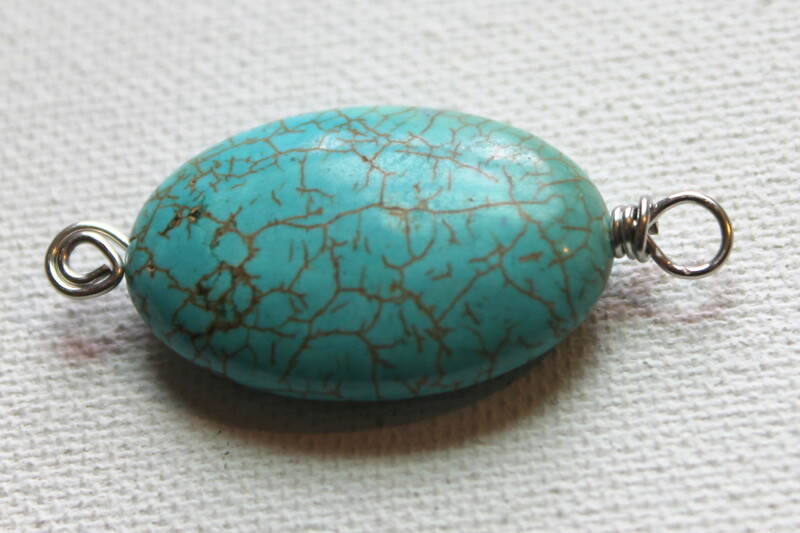 Ready to learn the basics of wire wrapping like making loops, making bead dangles and making wire wrapped bead links, plus how to wire wrap anything to make charms and pendants? Check out my Wire Wrapping For Beginners book, available both as an eBook or a print book. Click here for more information.